Competitive dance is a hobby practiced by thousands throughout the United States. There are a variety of genres of competitive dance including tap, hip-hop, jazz, lyrical, and ballet dancing. Competitions usually involve performing a solo or a group routine in front of a panel of judges. The judges provide a score based on the technical and performance merit and competitors are ranked by the total of their scores. Many people believe that dancing, at least competitively, is only for children and teens but contrary to popular belief there are a number of competitions exclusively for adults. 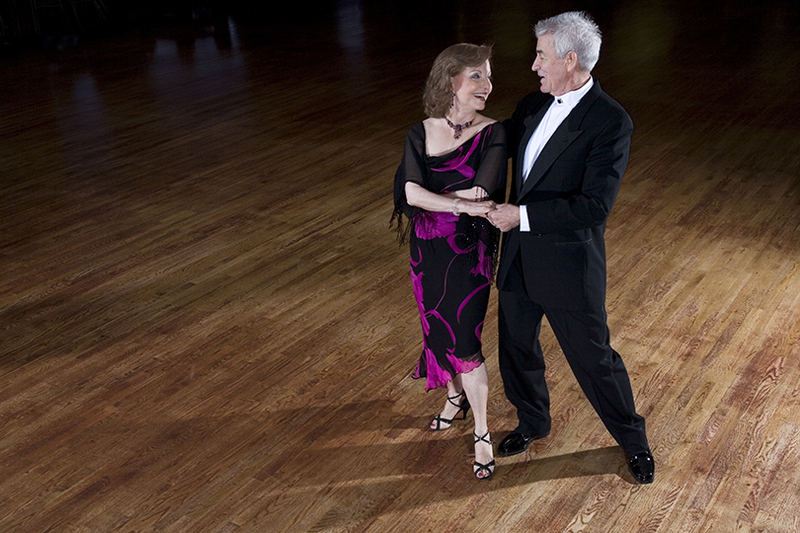 Whether you are young or old, you can learn how to dance and make it your hobby. Starting to dance first requires finding a studio in your area. You can talk to friends or acquaintances to see what they know. Perhaps you have seen some dance studios in your community and if that’s the case, simply drop in and ask them what classes they offer. If you’re over the age of 18, they might have a special class for adults. There are also chain dance studios, such as Fred Astaire Studios. You can also inquire at fitness or community centers, such as the YMCA or the YWCA. Sometimes they offer specialty classes taught by professional dance instructors. In places like these, the focus is usually on fitness as opposed to competition. But as a beginner, you have to start somewhere so it can’t hurt to at least try a community class and see if you enjoy it. Another thing you will need to zero in on is what style of dance you want to try. If you decide to go with partner dancing, make sure you have someone who is committed to sticking it out with you. If you live in a small town or city and your options are limited, you might have to make some sacrifices as to what type of dance you choose. Especially if you are an adult, you might only have several options for competitive dance styles. As a competitive dancer, you will have to perform in front of both an audience and a panel of judges. Many people find this experience nerve-wracking, but it is worth it. The first time you perform, you will likely experience some anxiety but it’s best to try to remain calm. Try to entertain the judges as much as possible and remember that they are probably dancers too, so they know exactly what you are going through. The judges aren’t there to be feared, they’re there to support you to become a better dancer. The most important thing to remember when performing is to smile. Before doing your routine in competition, try taping yourself using a handheld video camera. Watch the tape and note what a difference it makes when you work on your facial expression while dancing. Although it can be easy to forget about your facial expression while you concentrate on your dancing, the simple effort to smile through your routine will really set you apart and make the judges warm to your performance. Competitive dancing has many benefits, especially if you are an adult looking to try something new. Going to your first competition is likely to be an event that will bring you out of your comfort zone. But the more you compete, the more you will learn how to overcome anxiety and even perform well. Other psychological benefits can include finding an outlet for your emotions through dance. Dancing is a great way to let go of emotional tension and relieve stress. Dancing is also a highly social activity. If you decide to take a dance class, you will meet people who are your age and have a similar interest in staying fit and having fun. When you first start out, you will probably compete with a partner or as a dancer in a group – an experience that is likely to strengthen bonds and bring you closer to these people. If you have to travel for competitions, it can be like a mini-vacation and you will undoubtedly get to know your dance companions well. Finally, dancing is good for your physical health. If you dance on a regular basis, you are making an effort to stay in shape. You might even lose weight because dancing is a great workout. Not to mention, you are lowering your risk of developing a number of health conditions, including both heart disease and stroke, later on in life.